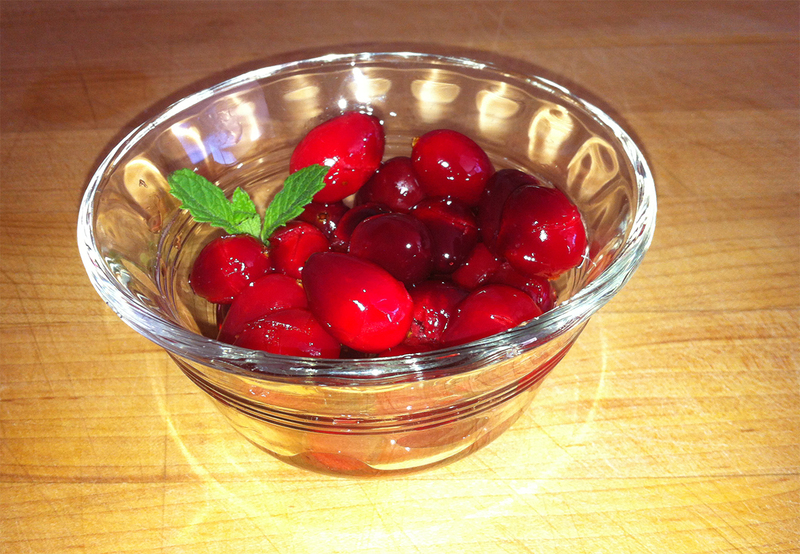 1Puncture 1 cup fresh cranberries with a cocktail fork, then place in small bowl along with 1/2 cup KISS. 2Microwave for 1 minute on high. 3Allow to cool for at least an hour while the cranberries soak up the sweet mint syrup. This will offset their tart flavor. 4Toss 1 or 2 in a cocktail glass, or place 2-3 on a skewer for a more elegant presentation. 5The reserved liquid makes a festive addition to cocktails or beverages, too!